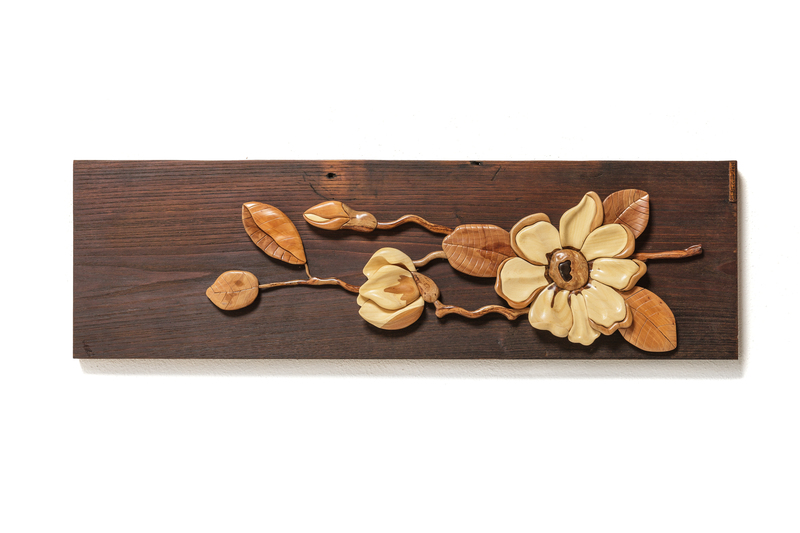 The delicate orchid flower, depicted in relief with valuable and skillful techniques, is the elegant floral pattern of the decorative wood panel. 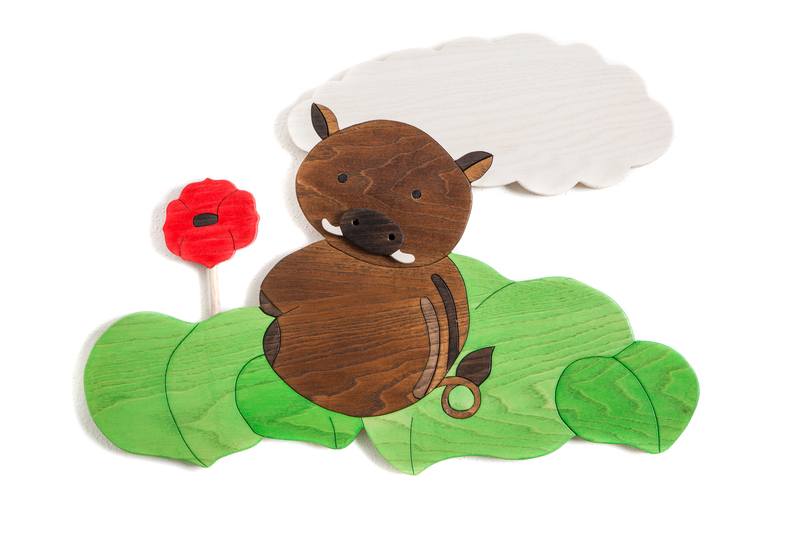 The cloud on a friendly scenario, featuring a wild boar and a poppy, is the perfect place to write the name of your child. The elegant floral pattern reinterprets the delicate volumes of magnolia flowers with technical virtuosity. 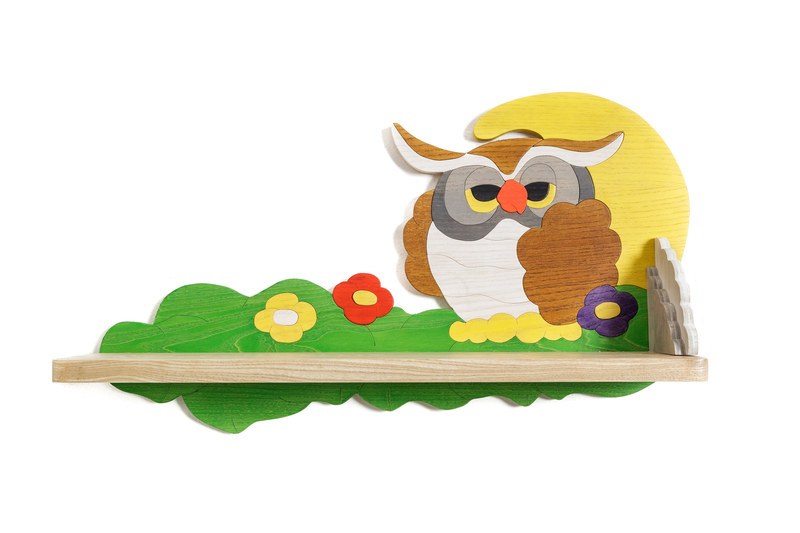 The Grea Own of Happiness holds children's books; the shelf is crafted based on the original design of the artisan. A garland of roses, finely carved and fret-worked, makes up the floral pattern of the elegant decorative relief panel. 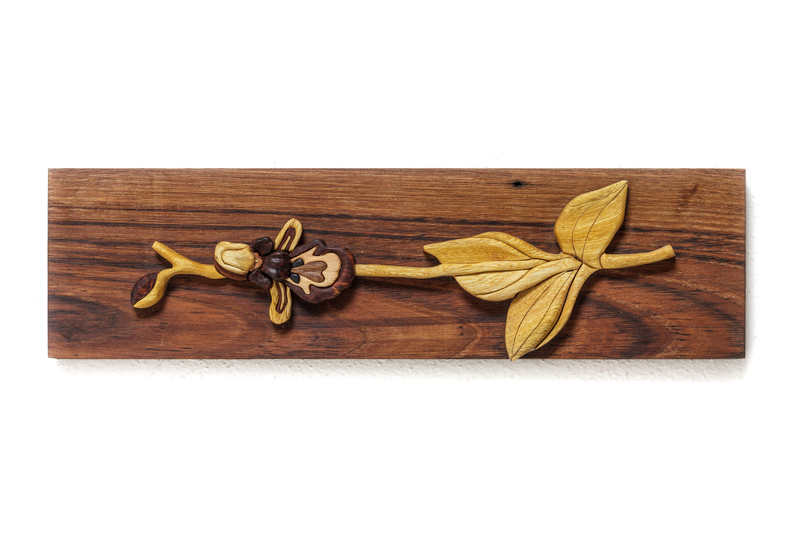 Cesare Cabiddu, a skilled and creative Villanovaforru carpenter, is the creator of the original “In Wood Cun Sa Linna”, a handicraft company manufacturing wood artifacts of exquisite craftsmanship. Having inherited a long family experience, that began with his father who was a carpenter and continued through the vocational training at his uncle's workshop, Cesare is a skilled and experienced creation of two peculiar collections. The elegant and exclusive decorative panels are characterized by the refined use of different types of wood, while a colorful and joyful style is featured in the collection designed to furnish the children's room with creativity. Each artifact, crafted with extreme care, is the result of great passion and sheer creativity. There are two lines that characterize the “In Wood Cun Sa Linna” collection: the “Home Décor” line includes panels of different form and subject, designed to decorate interiors with style and personality. Each panel is designed according to a specific theme and in close relation with the characteristics of the wood used, resulting in a unique piece, even when products are manufactured in series. The “Kids” collection includes several pieces of furniture designed for children's room: clothes hangers, shelves, paintings and frames are designed to be handled by children and therefore made with natural materials and non-toxic finishes. Based on the artisan's original design, a collection is available featuring characters which reinterpret typical local animals of the island's wildlife: “Breby” the little lamb, “Kuaddy” the colt, “Moby” the donkey, “Margy” the fox. Each piece is handmade at all stages, with particular attention to the use of environmentally friendly procedures and materials. 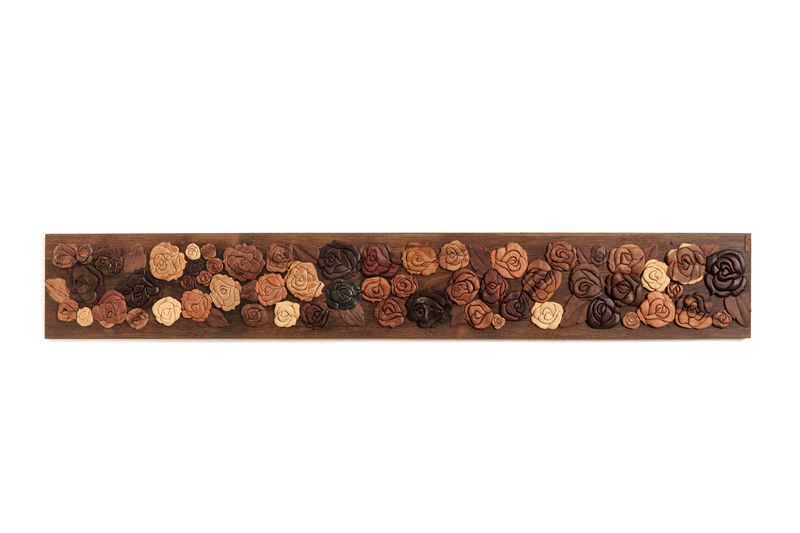 The materials used are selected mainly among local ones, crafted to preserve their typical aromas and natural tones.